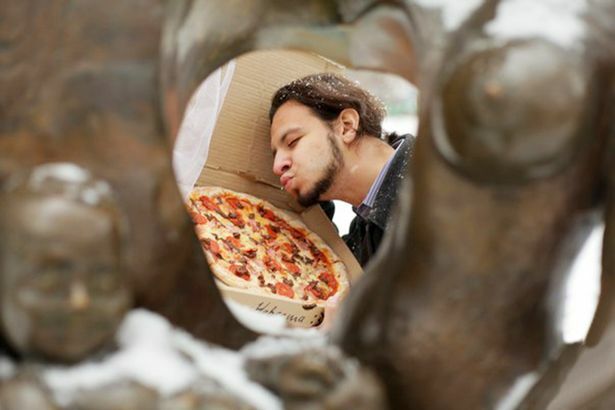 A lonely Russian man married a pizza after he became fed up of being single. 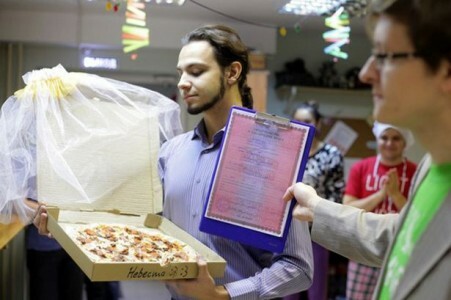 The wedding ceremony allegedly took place in a pizzeria in Tomsk, a city in Russia. The unnamed groom said: “At some point I realised that half of my friends were complaining about their better half, while the others were complaining about the lack of a better half. Russian authorities refused to officially register the marriage and the church also turned down the 22-year-old’s unusual request. The restaurant presented the couple with a non-official wedding certificate while the pizza itself was covered in a bridal veil. The news comes in the same year that an American woman called Linda married a rollercoaster named Bruce.